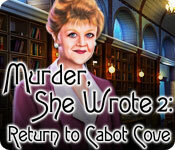 Take on the role of beloved murder-mystery writer Jessica Fletcher and return to lovely (but lethal) Cabot Cove! In Case 1, a prominent gallery owner is found stabbed in the back, and Jessica must distinguish friend from foe. Intrigue abounds in Case 2 when the philanthropic president of the local charity is electrocuted to death. It's up to Jessica to discover whether the motive was love, money or power. Jessica decides that she needs a vacation after all the mayhem and murder in her hometown, but Case 3 finds her embroiled in a mystery involving James Joyce! Murder, She Wrote 2: Return to Cabot Cove is rated 3.9 out of 5 by 112. Rated 5 out of 5 by gamepond from Great! I want more! This game is a lot of fun. I avoid any games with werewolves and demons and ghosts etc, but this doesn't have any. They are murder mysteries but there are really no violent images. Just a pretty little New England town which you explore while solving the mystery. And it has an interesting story line. In fact, this is just what I look for in a good hidden object / adventure game. It is challenging enough to keep me interested but not so challenging to stump me, which is just how I like it. The only drawback is that there are only three mysteries to solve, which didn't take all that long when I had time on my hands and was really into it. I know it must take a lot of work to make this, but all the same... I sure hope they do another sequel. Until then, I keep this one and re-play it from time to time, just for fun. Rated 5 out of 5 by Godlover24 from Actually Better Than The First One This was way better than the first one!!!! In this one, you actually got to walk around the town and talk to people! I really loved this game!!! Thank you Big fish for making the Murder, She Wrote games!!! Rated 5 out of 5 by saturdaygirl from great "non-dark" object game!!! Loved it and can't wait for Murder She Wrote - 3. Please, please, please!!! Nice gaming experience with out all the dark, evil overtones so popular, just good fun and familiar faces. PLEASE consider more of the same! Rated 5 out of 5 by mummypot1 from GIVE ME MORE I have been a MURDER SHE WROTE fan since she began and have bought both of her games. I want more! I'm sure that I am not the only one that has been waiting for number 3. if you love an old fashioned WHO DONE IT then this is the game for you! Rated 5 out of 5 by Italia47 from I'll just cut through the chase, this game is really great aside from some of the negatives! As simplistic as Murder She Wrote2 may seem, what it has over some of the other so-called embellished games with all their whistles and bells, this game has a great format--I love its order and its logic. I'm in the middle of the second case and I'm playing the SE version in expert mode. I didn't play the first Murder She Wrote, so obviously I can't make a comparison. I rate this game a 4-1/2 stars, but for the sake of argument, and as some others have mentioned in their reviews, I'll consider it a low 5 score. The graphics, though cartoonish, were actually quite lovely. The lips don't move on the characters unless there is an element of surprise. Needless to say that didn't bother me. I love New England anyway so the artwork is beautiful, clear, crisp, very orderly, straight lines, lots of colors. The actors are fantastic, and the voiceover for Mrs. F. has somewhat of a similar tone to Ms. Angela Lansbury's voice. In my opinion, they chose the wrote woman to play Mrs. F. Hey, devs, you did a fabulous job on this game! There are some glitches here n' there, like when I tried to do the painting it went bonkers for a bit where I had to end task the game and went back into it and then it was fine. Another time the cursor pointer went from the game's assigned pointer to a regular pointer without my changing it. So again, I had to get out of the game and restart it to get the kinks out. There was one minor typo in one of the texts--it should have read as follows: "I'll let you know," and the text showed, "I let you know." Also, as Mrs. F. tells the characters that so-and-so was murdered, the characters expressed their concern very well but quickly went back to doing what they were doing. And then not too soon after, Mrs. F. would speak with them again, and they're right back in the same spot expressing their concern and grief. I found that amusing. I would have preferred a full-screen game and this is not one of them; and the hidden objects were rather small, but finding them was not a problem. The HOS were junk piles but again you could easily find the items. The synthesizer music was very nice and not annoying at all. 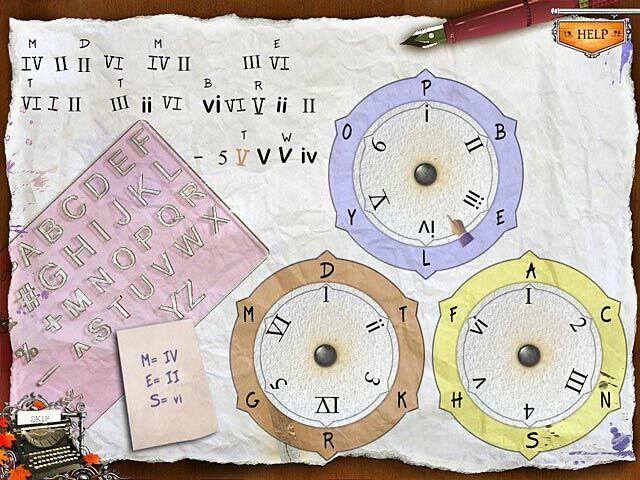 The puzzles, mini-games were great fun; some were very thought-provoking and tricky and some were easy. There are quite a bit of puzzles. They're great! I loved the fact that though the subject matter was all about murder, there was no occultic activity in this game and no dreary, miserable scenes either. A very pleasant game it is indeed! I highly recommend it! Rated 5 out of 5 by Black_Light_halo from Murder, Shhe Wrote!!!!! I love the show as much I love the HOG! I hope a few more will become available! Murder, She Wrote brings so much childhood nostalgia back for me! My grandmother would watch this and I along with her. So, to have this a HOG-which,incidentally, I enjoy playing,and talking to with my own mother about (we both love BFG) is just fantastic! This game was fun, and sometimes challanging for me at times. I won't say that it's the most indepth game I have ever played but I had a lot of fun. Rated 5 out of 5 by AdrianaIP from More Jessica Fletcher, yayy!!! 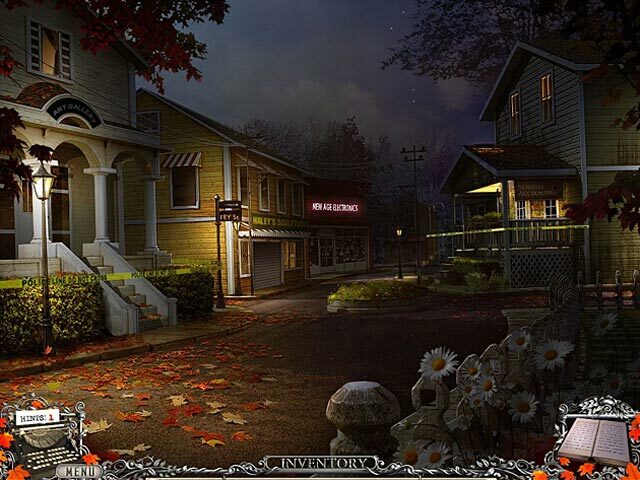 This is a sequeal to the previous Murder she wrote game. What is better: Animation, beautiful graphics, some adventure using objects picked up.. What is not so good: Only 3 mysteries instead of 5 as the previus one What I don't like: Not knowing when the next sequel will come out. Rated 5 out of 5 by tutortime from Sweet Game I really liked this sweet game. It was easy and still fun. Just what I expected. I hope there will be a MSW -3 soon. Rated 5 out of 5 by Kimmycoo from Just like being a part of the show I loved this game. It was beautifully done. I loved all three cases, which is how this game is broken up into. Three books, three different game plays. Graphics were awesome, I loved the night scenes, the Autumn scenes, the scenes in Ireland, the snow, the people. Loved the voiceovers, the music. 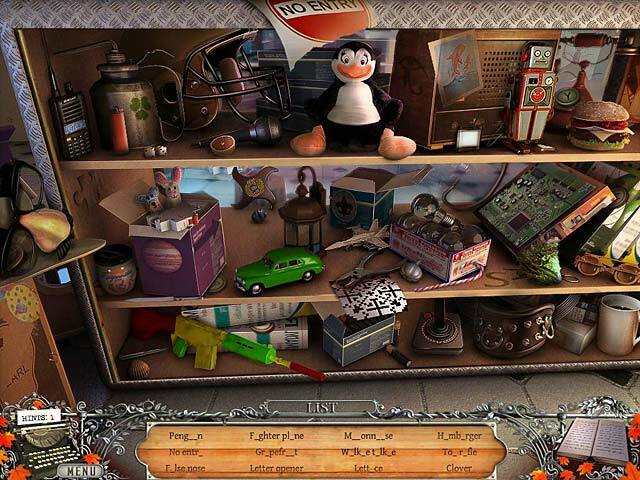 I loved finding the typewriter keys in each hidden object scene which helped to spell out the words of objects you were to find. All of the rooms, the roads, the locations were just gorgeous. I loved everything about this game, and I hope in the future they will consider another one just like this but even longer. I didnt think this game was that short, I felt it lasted as long as any other game. This is a must buy especially for older people, who were alive and enjoyed when the show was at its peak. OR anyone really would love this. I give it 5 stars just for its beauty and the way it was put together!